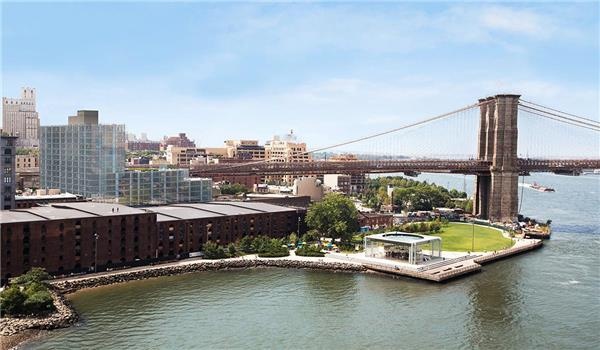 Sun flooded corner 2 Bedroom boasting expansive views of the East River, Downtown Manhattan Skyline, Brooklyn Bridge and Manhattan Bridge. 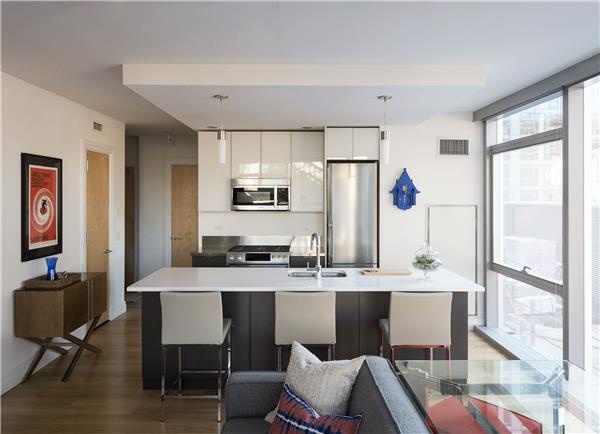 The spacious home features a large open kitchen and breakfast bar. 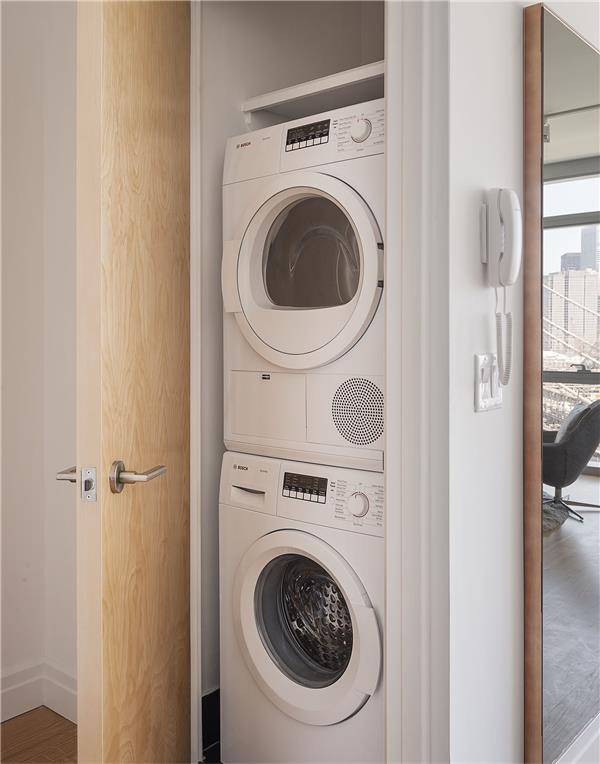 Enjoy the amenities of a new apartment with the stack-able Bosch washer/ dryer, hardwood plank flooring, garbage disposal, solar shades in the living room and blackout shades in the bedroom, as well as Central Air and track LED lighting throughout. 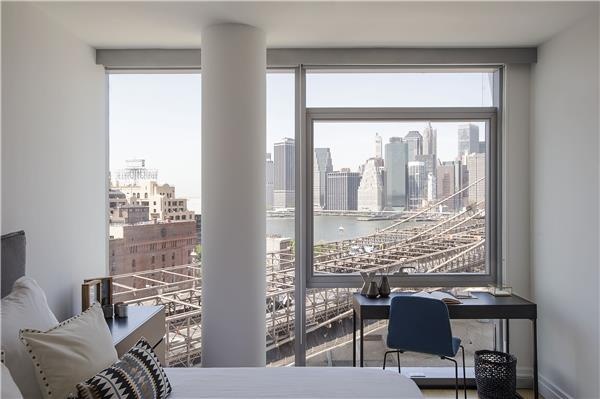 Just steps away from historic Brooklyn Bridge Park and at the epicenter of Brooklyn’s flourishing arts and culture community, 60 Water is a new construction rental developed and managed by Two Trees Management and designed by LEESER Architecture. 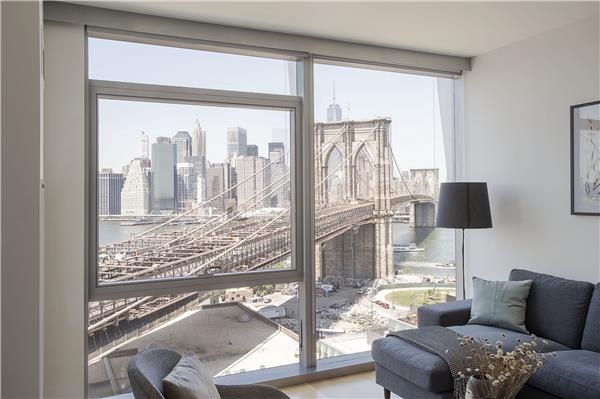 The modern yet reflective façade is inspired by the building’s views of both the Manhattan and Brooklyn bridges. 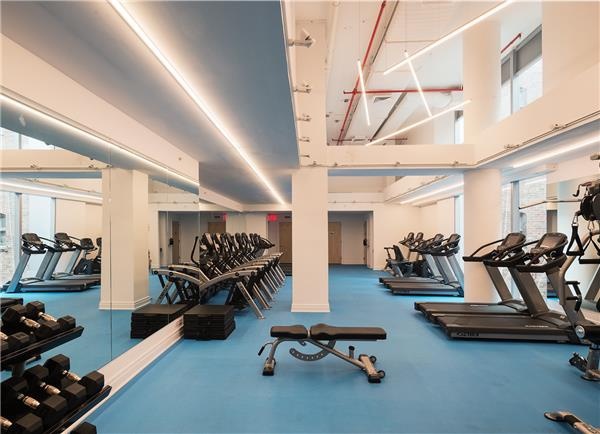 Light-filled apartments offer floor-to-ceiling windows, which feature elegant island kitchens, stainless appliances, dozens of outlets, and well-appointed floor plans. 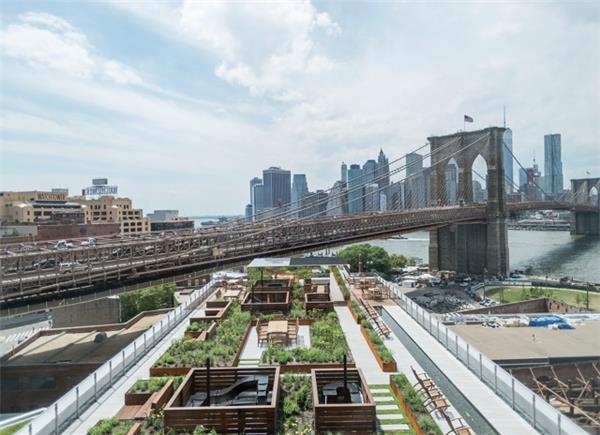 On the upper floors, a shared roof deck designed by the architects behind the High Line offers Manhattan-facing vistas. Occupied home, 24 hour notice required to view.